Bookworm Lisa~: Book Blog Tour : The Lola Diaries Drama Jerk by Lulubelle Love with a giveaway! 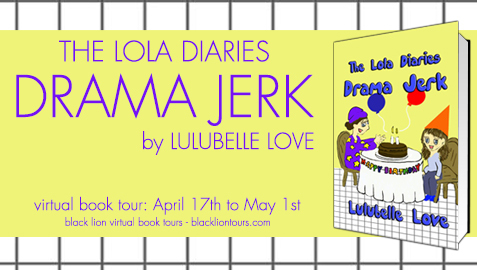 Book Blog Tour : The Lola Diaries Drama Jerk by Lulubelle Love with a giveaway! My thoughts: This book is told from two points of view, Lola and Hannah. Both girls have a strong personality and are facing personal crisis. The girls have issues between them and a positive model is given for conflict resolution. I think that this story is great for kids to read. Sometime it helps to read about a situation and learn empathy through fiction when dealing with emotional turmoil. Lola's parents are divorced and she is a tomboy. Hannah's parents are getting divorced and she is afraid that her situation will end up to be like Lola's. It is also a big problem that they both have a crush on the same boy. This may sound silly, but I liked the fact that one of the girls was still wetting the bed at age 11. I honestly think that more children suffer from this affliction than we realize. Having a book with a main character struggle with the issue is a positive thing for kids. 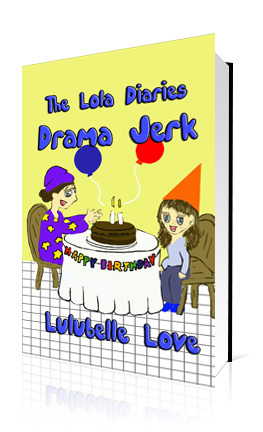 Today we welcome Lulubelle Love and her newest work: "The Lola Diaries: Drama Jerk"
If you have kids, you can't miss this book. Formats Available for Purchase: Paperback and ebook. Let’s face it turning eleven can be difficult especially when you still wear diapers to bed. This is a secret that Lola Swanson wants to keep under wraps. But secrets always have a way of coming out especially when Hannah Thompson ( A.K.A . Captain Evil) is involved. And then there’s the little problem that Lola and Hannah are both in love with the same boy. 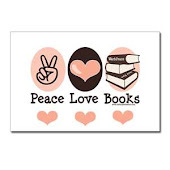 Liz Steele (Pen Name Lulubelle Love) grew up in Holden, MA. 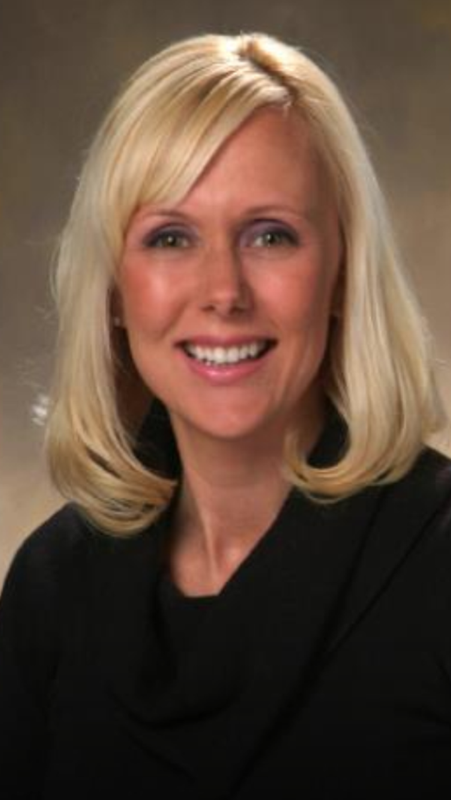 She graduated from Worcester State College with a Bachelor of Science in Psychology and from Assumption College with a Master of Arts in Education. After working as a special education teacher for several years, she decided to follow her passion for writing and publishing books. Participate for a chance to win one of the 20 Paperback Copies of "Drama Jerk" available. April 18: Bunny's Reviews Blog: Promo Stop. April 19: Laurie's Non Paranormal Thoughts and Reviews: Interview. April 20: I know that Book: Guest Post. 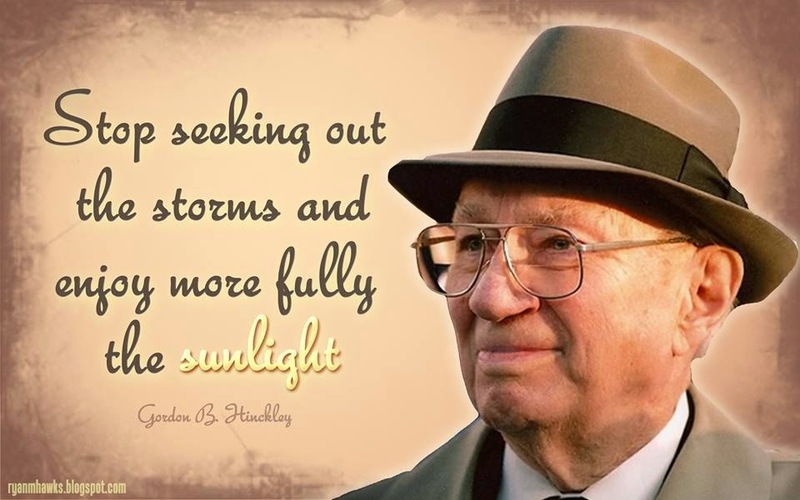 April 21: Melissa's Midnight Musings: Guest Post. April 22: Kimberly Lewis: Guest Post. April 23: My Devotional Thoughts: Review. April 26: Bookworm Lisa: Review. April 28: A Novel Idea Live: Live Interview. April 29: A Novel Idea Live: Promo. 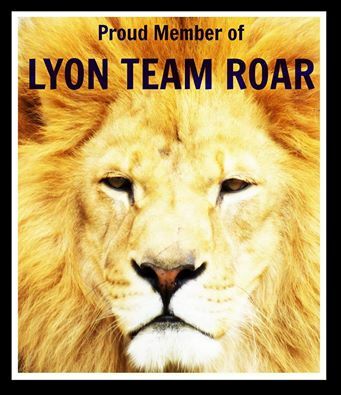 May 1 : Black Lion Tours Blog: Wrap- Up.